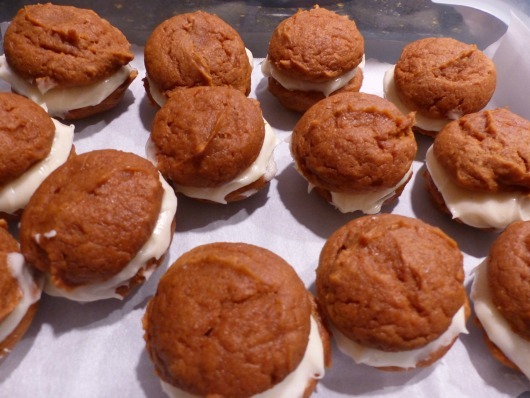 Pumpkin Whoopie Pies with Maple Cream Cheese Filling | Yummytums! You gonna make these for the family Christmas party? They look delicious!! !